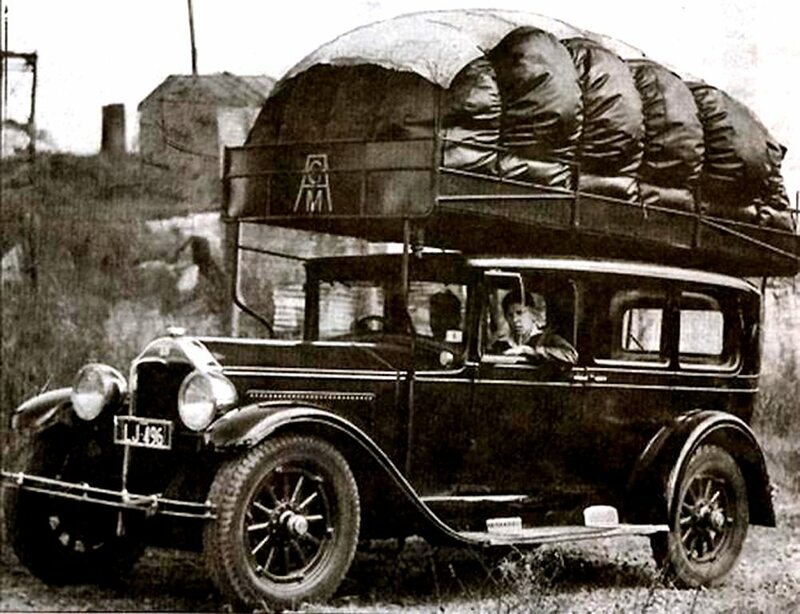 1928 – Overhead gas bag supplements wartime fuel supply during WW2. 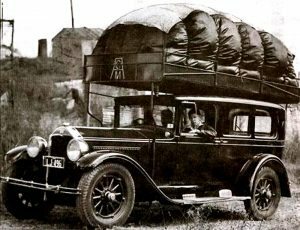 In the early years of WW2 some motorists supplemented their fuel supply with town gas. The big 1928 Buick Master Six pictured is a classic example of how this was achieved. Unlike modern LPG, this gas was not compressed but at town gas mains low pressure. The contents of this bag propelled the car little more than 50 miles (80km) so travel required the car to stay in close proximity of the gas works. Because of the low pressure, refilling was slow but at least it was readily available without restriction, unlike petrol which was severely rationed. As the gas was used the storage bag deflated and the driver could readily see the need to re fuel.